Explore exciting new case studies and research findings from the world-famous Newton Institute. This handy pocket-size book provides an introduction to Life Between Lives, regression hypnotherapy, past life regression, and reincarnation. Discover simple exercises designed to help you make contact with a higher wisdom for answers to your questions and guidance in developing the life you were meant to live. In these pages, you will find expert advice, tips, and techniques for your own journey of spiritual self-discovery. 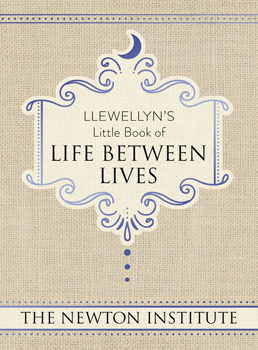 Llewellyn's Little Book of Life Between Lives also explores soul groupings, the Council of Elders, the process of life selection, soul development, and much more. In a warm and wonderful way, this book confirms what many of us suspect - at the end of life, a home filled with everlasting, unconditional love awaits you.